Spot baldness, or alopecia, affects approximately one or two per thousand people, mostly females. The most common type of alopecia results in one or more round spots of lost hair on the scalp, but in rare cases, it can affect the entire scalp or body. Spot baldness can be caused by a variety of reasons. Alopecia areata is usually caused by T-cell lymphocytes (auto-immune). Several other factors can cause spot baldness such as fungus, or traction alopecia (constant pulling). When people seek topical drug treatment for alopecia, the best predictor of success is age. According to a study by Pfizer Consumer Healthcare, the fewer number of years a man had been experiencing alopecia, the more effective topical minoxidil therapy was. Women in the study showed no correlation between the effect of the therapy and duration of balding. This may be because it is harder to identify when alopecia starts in women. Hair loss tends to be more spread out throughout the scalp in ladies with this condition, and the thinning of the hair may not be noticed for some years. Therefore, women in the study may not have been able to accurately indicate the date their alopecia started. 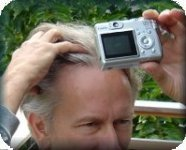 Men with alopecia have more noticeable vertex (spot) balding. It is clearly recognizable by a man or his family members. The spot grows larger over time. The larger the vertext balding in men when they started the minoxidil treatment, the less effective the treatment. Therefore, seeking treatment as soon as hair loss or hair thinning is noticed can dramatically improve results. Dr. Larry Shapiro is the founder of Dr. Shapiro’s Hair Institute. “In my hair transplant Boca clinic and hair transplant Miami clinic, we can treat these patients with an injection of a mild steroid solution. Many other patients in our hair transplant south Florida clinics have spot baldness due to hereditary factors and only a transplant can successfully replace the hair,” he said. This entry was posted in Baldness, Hair Loss, Hair Transplant on July 23, 2009 by Larry Shapiro.